REVOLVO, a club for the only car worth driving, fixing, loving. REVOLVO ! Click on the image to enter the REVOLVO Club site. David Byrne asks "Any Questions? "...........We should have.........SO Many ! ! ! 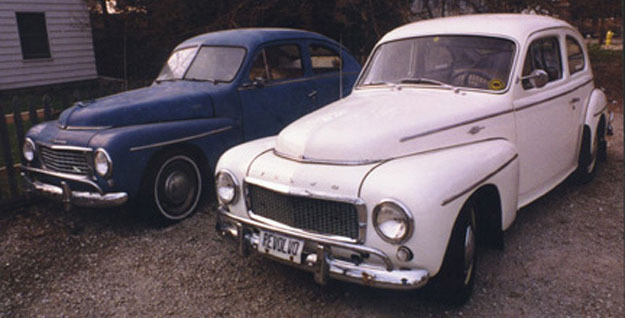 122 Sedan makes cameo appearances. Here's some photos from a Dutch site. We love them, they are so lucky!.